of lakes, ponds and streams. 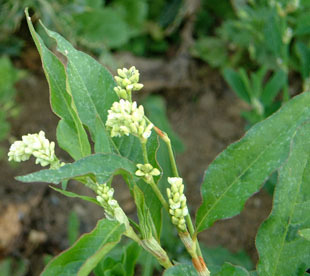 It is quickly crowded out by competing plants. 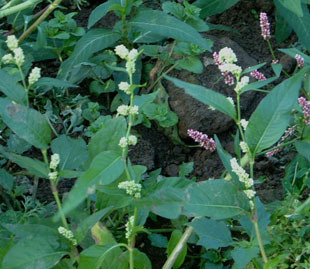 Pale Persicaria is an annual, native, herb growing up to 1m. It is similar to Redshank (also June) in habit and habitat. 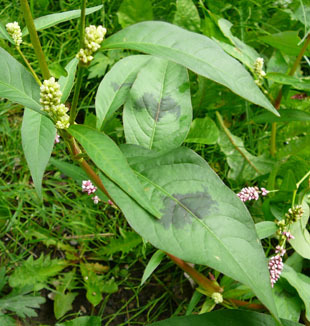 It is bushier and the leaf markings are less regular. 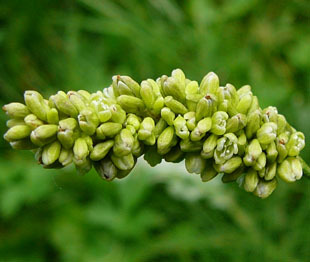 Flowers are greenish, white or slightly pink.